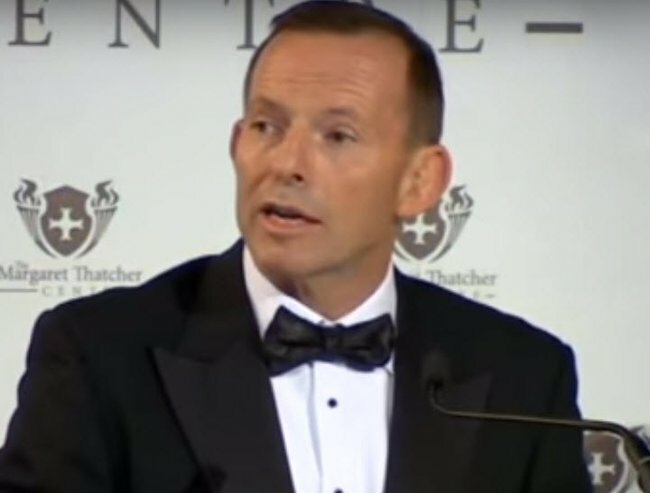 Tony Abbott's refugee speech reminded us why we're so very happy he's gone. Thank God he’s no longer in charge. Tony Abbott is on the speaking circuit. I STOPPED THE BOATS, AND YOU SHOULD TOO. In a nutshell, that is the message the man who up until last month was our leader, delivered. He implored Europe to avoid the perils of allowing asylum seekers in and instead turn them back. He warned against altruism and compassion and instead argued for force and ignoring anything ‘gnawing’ at collective conscience. Our moral obligation is to receive people fleeing for their lives. It’s not to provide permanent residency to anyone who would rather live in a prosperous Western country than their own. That’s why the countries of Europe, while absolutely obliged to support the countries neighbouring the Syrian conflict, are more than entitled to control their borders against those who are no longer fleeing a conflict but seeking a better life. This means turning boats around, for people coming by sea. It means denying entry at the border, for people with no legal right to come; and it means establishing camps for people who currently have nowhere to go. 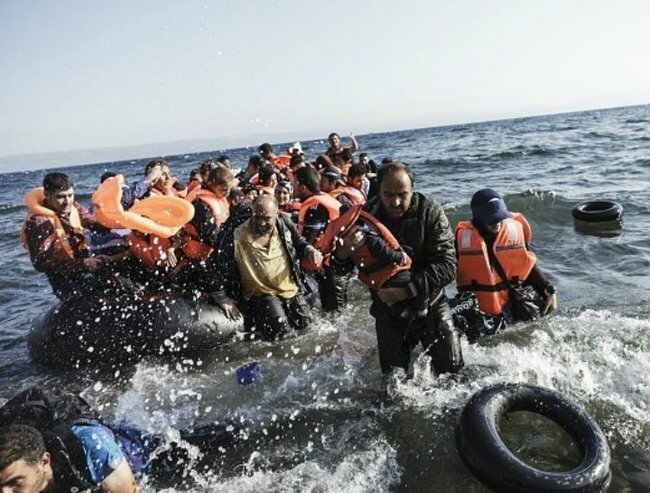 It will require some force; it will require massive logistics and expense; it will gnaw at our consciences — yet it is the only way to prevent a tide of humanity surging through Europe and quite possibly changing it forever. If there was another speech that could so eloquently and thoroughly remind us why bidding Abbott’s PM-ship farewell couldn’t have come soon enough, I’d like to read it. Aside from being devoid of compassion, there were factual anomalies as well. 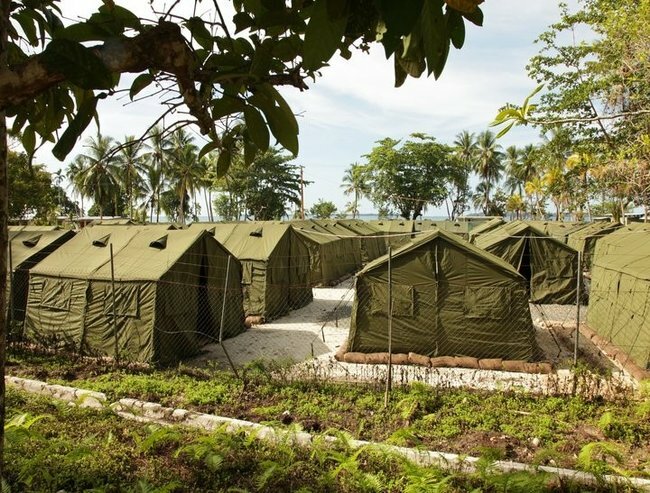 This is a detention centre on Manus Island. It is not shut down. Yes the boats have effectively stopped but the ‘detention centres have all but closed’? Has anyone told Nauru? Or Manus Island? Or Transfield? Or the hundreds of refugees being detained there? I suspect it would be news to them. But perhaps the most glaring omission in his ‘turn back the boats’ narrative is exactly what Mr Abbott believes ought to happen to the millions of displaced citizens who are living in the midst of the “death cult” he so loves to discuss? If Europe and Australia and wealthy western countries are to close their borders, as he suggests, where exactly are these refugees to be settled? It’s not as if Tony Abbott, or any politician who has agreed to military intervention in Syria or Iraq, can deny the humanitarian crisis that is enveloping those regions. It is estimated that as of April 2015 there were 3.7 million refugees from Syria. They are legally entitled to seek asylum. They are not merely ‘seeking out a better life’ as Tony Abbott said, they are fleeing persecution. But upon whose door can they knock? Tony Abbott as Prime Minister. This isn’t his chair anymore. That is the reality that has been conspicuously absent from Tony Abbott’s ‘stop the boats’ rhetoric — then and now. Stopping the boats does not stop the circumstances which create displaced citizens around the world. Stopping people smugglers does not address the root cause of the ‘trade’. People smugglers have a business because there is no shortage of brutality and persecution around the world. Dismissing the reason that millions of citizens are begging Europe for asylum, is easy. Pretending that it’s the by-product of envious citizens eyeing a better life, is easy. But it’s entirely false. These are among the 3.9 million Syrian refugees who have fled in the past few years. That is, to an extent, true but it dismisses the pot luck involved. People like you and I, who were born in a safe and prosperous country like Australia, are lucky. We did not make an informed choice. We did not strategise about where and when we would be born. We got lucky and pretending otherwise is naïve at best, callous at worst. Last night, on an international stage, Tony Abbott revealed the catastrophic shortcomings in his take on immigration policy. And he reminded us why we ought to thank our lucky stars he is no longer in charge. Denial is no way to govern. 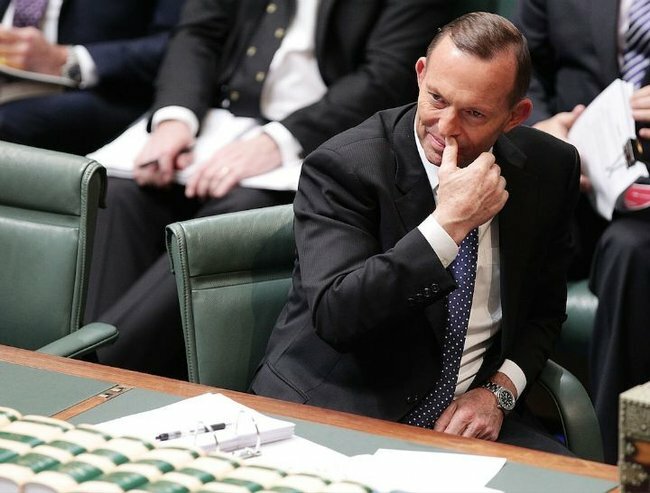 What did you think about Abbott’s speech?